This private, high-style tour takes you through centuries of Florentine fashion, from medieval cloth merchants and Medici jewels to the modern luxury of Italy’s biggest designers. 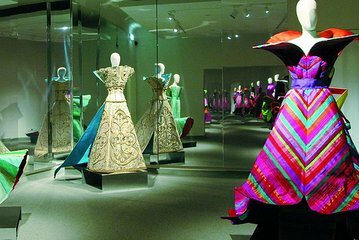 Learn about the life of Salvatore Ferragamo at the trendsetter’s namesake museum, then look back through styles of the ages at the Palazzo Pitti’s Costume Gallery and admire baubles worn by Italian rulers at the Silver Museum. Finish by walking in the footsteps of well-dressed royals at the famous Boboli Gardens.